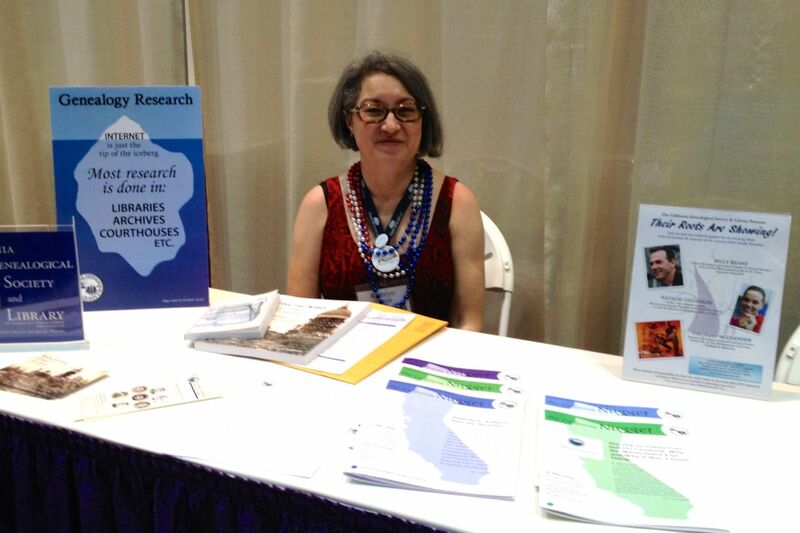 The California Genealogical Society had a table at the recent Federation of Genealogical Societies (FGS) annual conference held August 21-24, 2013 in Fort Wayne, Indiana at the Grand Wayne Convention Center. FGS makes it easy for even distant genealogy societies to have a presence in the exhibit hall as part of their Society Showcase. Thank you, Polly Kimmett and FGS, for the opportunity! 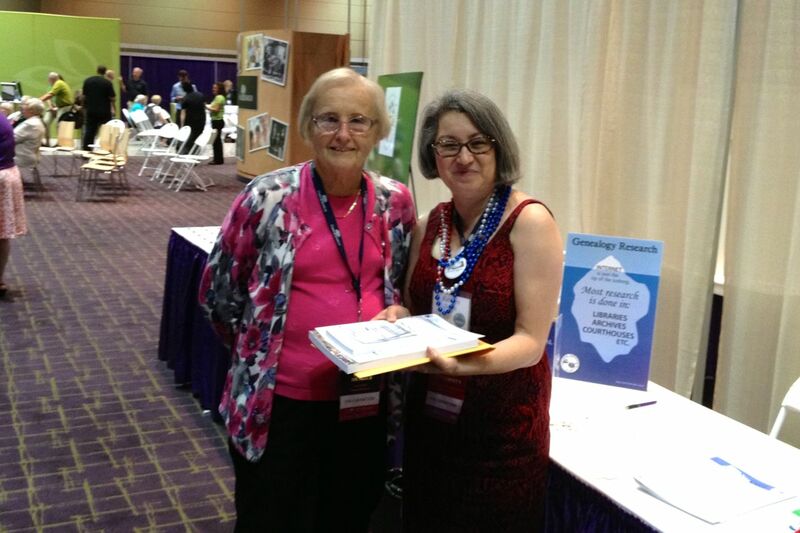 Door prize winner Diane Coleman is our newest member! This year, participating societies were asked to provide door prizes. Attendees placed their tickets at the tables of their choice for a chance to win. The California Genealogical Society gave away a membership and three of our publications: The Insider's Guide to California Research, A Most Dreadful Earthquake, and Raking the Ashes: Genealogical Strategies for Pre-1906 San Francisco Research. Our winner, and newest member, is Patricia Coleman of Birmingham, Alabama. 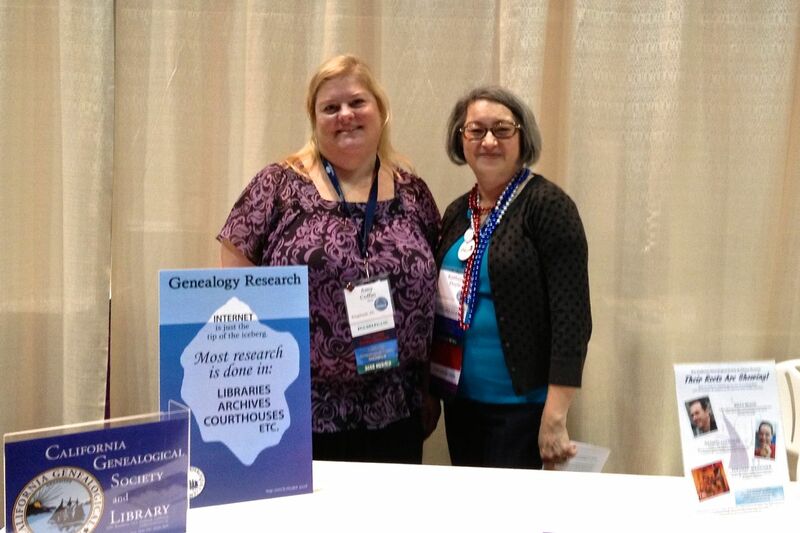 Members Sandi Benward and Linda Darby stopped by our table for a photograph. Only a few members were in attendance. Sandi Benward, Linda Darby, and Amy Coffin stopped by to visit. 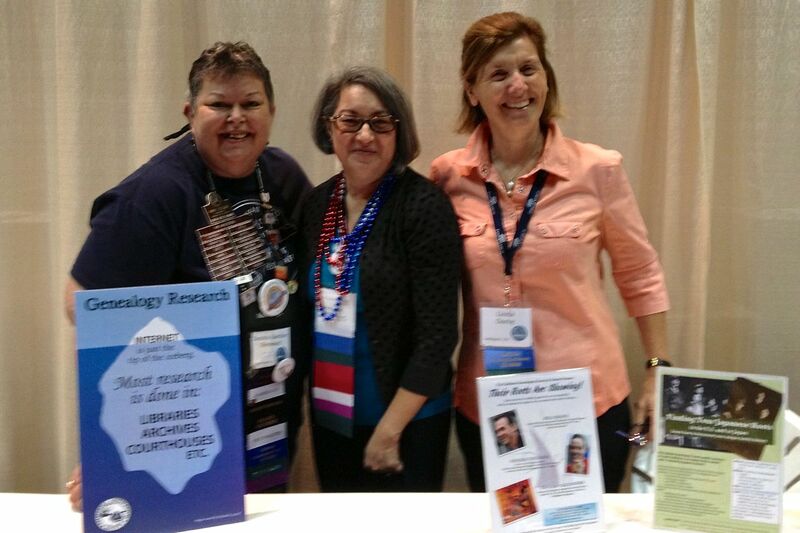 Far-flung member Amy Coffin blogs for one of next year's host societies, Texas State Genealogical Society. Next year's FGS Conference will be held August 22-30, 2014 in San Antonio Texas. FGS also announced their 2015 conference will be held in conjunction with RootsTech in Salt Lake City. The Federation of Genealogical Societies was founded in 1976 and represents the members of hundreds of genealogical societies. FGS links the genealogical community by helping genealogical societies strengthen and grow through resources available online, FGS Forum magazine (filled with articles pertaining to society management and genealogical news), and Society Strategy Series papers, covering topics about effectively operating a genealogical society. FGS also links the genealogical community through its annual conference -- four days of excellent lectures, including one full day devoted to society management topics. To learn more visit FGS.org.